Explore our crystal clear water! With this program after the theoretical training that you will have in our dive center, you are going to a very nice boat trip with two different stops in Agios Onoufrios area. At the first stop you have the chance to get a unique snorkeling experience in a cave which is half up and the other half underwater, for about an hour then we take a break and then we go in an open water area with full of marine life, sponges, corals, fishes, some turtles and lot more, where you are going to dive. It is also a suitable program for you and your family or your friends where you can be all together in the same boat trip and some of you want to dive and some want to do only snorkeling! 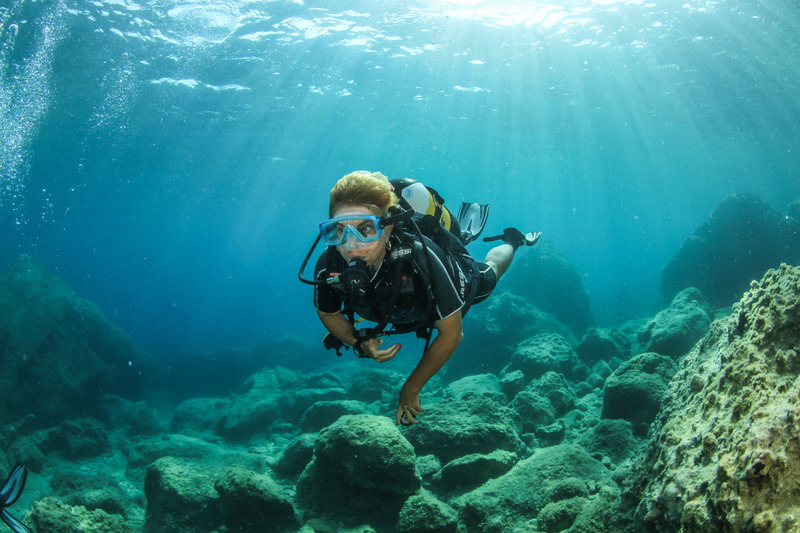 - Every scuba or snorkeling experience we offer, depends on the weather conditions. So, sometimes the program and the diving places might change.